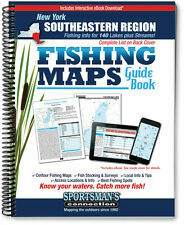 NORTHEAST GPS & Loran-C Chart #1 -120 Wrecks-Reefs-Inlets -Tightlines #1 SALE!! 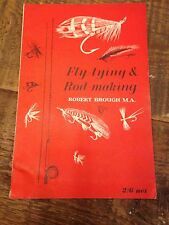 Fly Tying & Rod Making By Robert Brough M.a. It's inscribed and signed by the author on the title page. There are illustrations throughout, many in color. 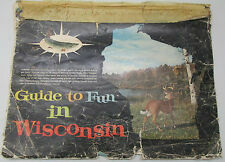 Rare catalog appears to be late 40’s early 50’s, lots of wear on the front and back cover. _/_/_/NOTES_/_/_/. 2 – 4 weeks. 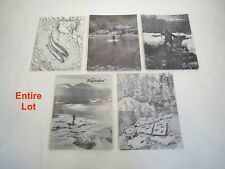 Rare catalog appears to be late 40’s early 50’s, acceptable condition. Jackall Bros 2007 CONCEPT DVD 104min. _/_/_/NOTES_/_/_/. 2 – 4 weeks. Lure magazine special Jackall Bros special selection J2MAX 2012. _/_/_/NOTES_/_/_/. 2 – 4 weeks. THE INTERNATIONAL ANGLER. : the average used book, etc. ; not too heavily worn, but shows an accumulation of wear, creases, etc. : complete, but well-used with worn edges and a greater accumulation of creases and other wear. Orvis Fly Fishing 2005. USED A4 sized brochure. Photo of the actual item you will receive. You will receive a used book as shows in pictures., Title, " Clayton's Solos and Duets, No. 1 ". Paper back. staples bind. 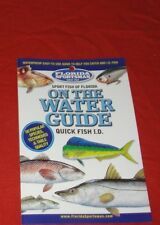 Ontario Fishing Map Books. 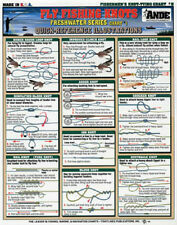 Over 200 maps plus tips on angling there. Northern Pike and Catfish fishing books. Improve your catch. Rod&Reel DVD Magazine Okumura Kazumasa In Bank Fishing Kishi-Zuri Deka Bass Hunting-2 Kishi-Zuri Big Bass Magic 70min DVD.